The Most Important Day Of Your Life! So many things to think about and do but that is why we are here to help take the stress away for you. Some things to start thinking about now that you are engaged. 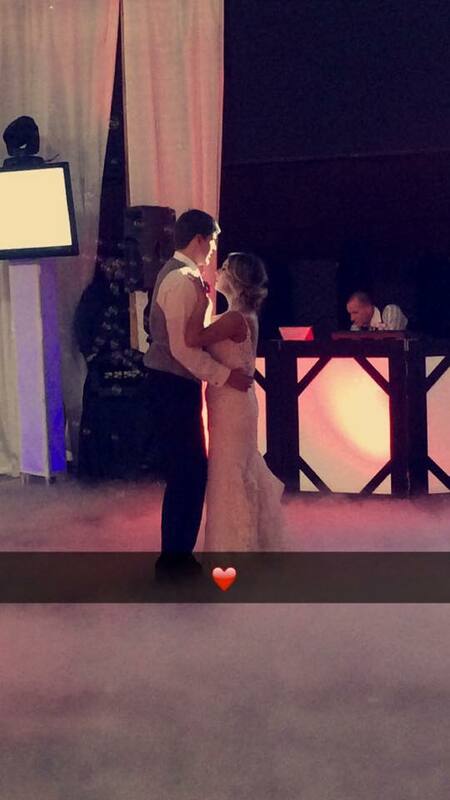 First, When do you want you wedding? Time of year – take into consideration of the weather and other events going on school, sports, family function, etc. Day of week – most people want it on Saturday but so much is going on, that people get overbooked on Saturdays, so it is possible to have it on another day, also take into consideration you can save a lot of money having it on an off peak day. Next, how many guests are you going to have? It’s great to have everyone there! But…it’s like taking everyone out on the town for a night. 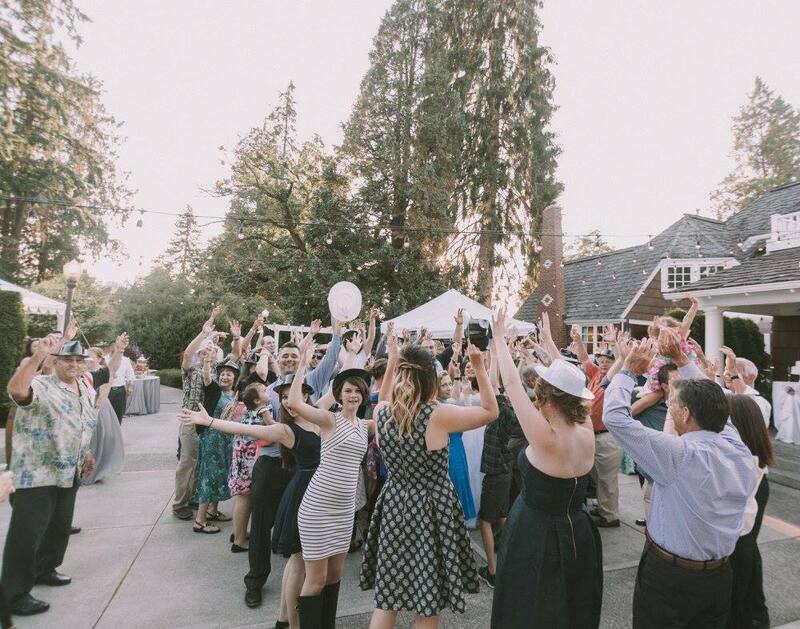 If you take your FULL cost(catering, entertainment, venue, dress, invitations, etc) and divide it by the number of people you are having, you could be looking at 40-50 per person, if not more. Now, that you have that in mind, you can figure out your guest list. 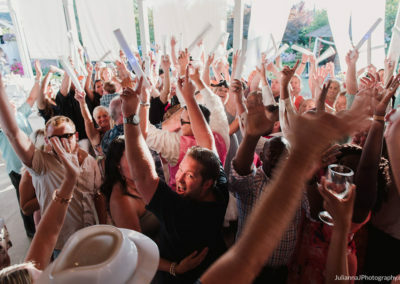 With an estimate of how many people you are going to have you can start picking out a venue that will hold your guests. 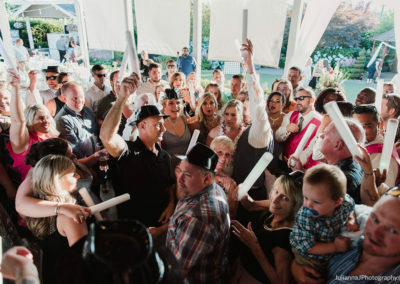 At this point, you need to ask yourself what is the atmosphere I want, do I want it at a Victorian, Modern, Classic, or Country theme – will I be able to do everything I want there – do they allow alcohol, additional costs, can I use the vendors I want to, outside catering, maybe you want sparklers, think of everything. BUDGET – figure out what your priorities are – is it the location or is it the entertainment or is it the photos – what are people going to a year or two down the road. We love JD The DJ! 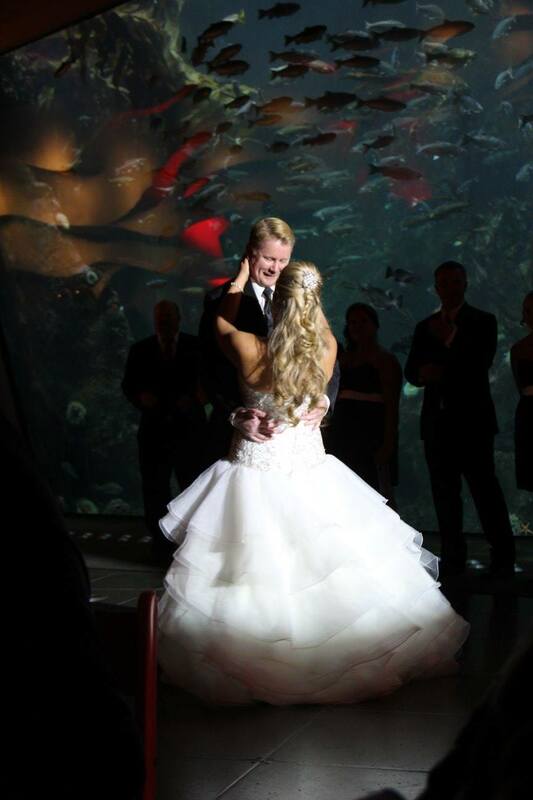 We’ll listen to your vision, plan accordingly, and deliver a wedding reception far beyond your expectations. We will honor your “do not play list” and adhere to all your requests. 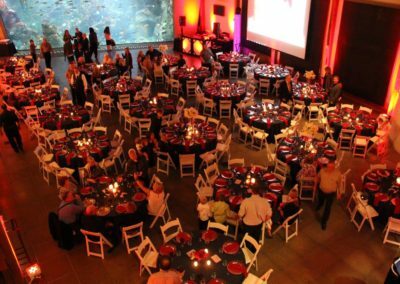 We work closely with photographers, caterers, and hall mangers to make sure everyone is aware of how the evenings events will unfold. Here at NBE, customer service is a big deal to us. If you’re not happy, we’re not happy. 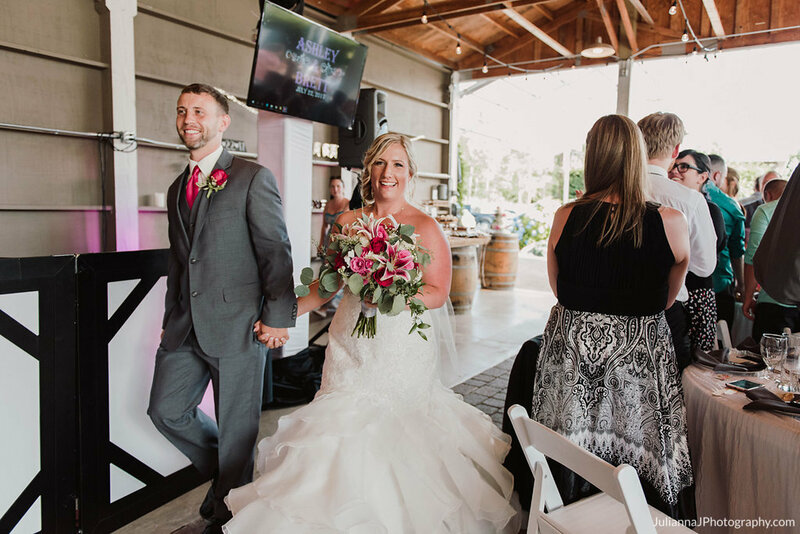 That’s why we take the time to pre-plan and put together custom playlists that tailor perfectly to your reception (no more “cookie cutter” weddings)! 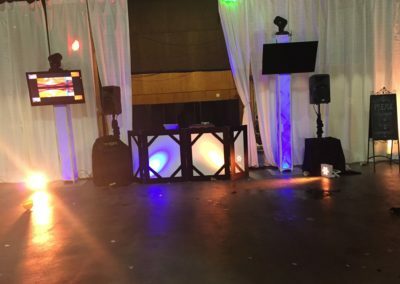 Also, the DJ you consult with is who will actually be at your event. 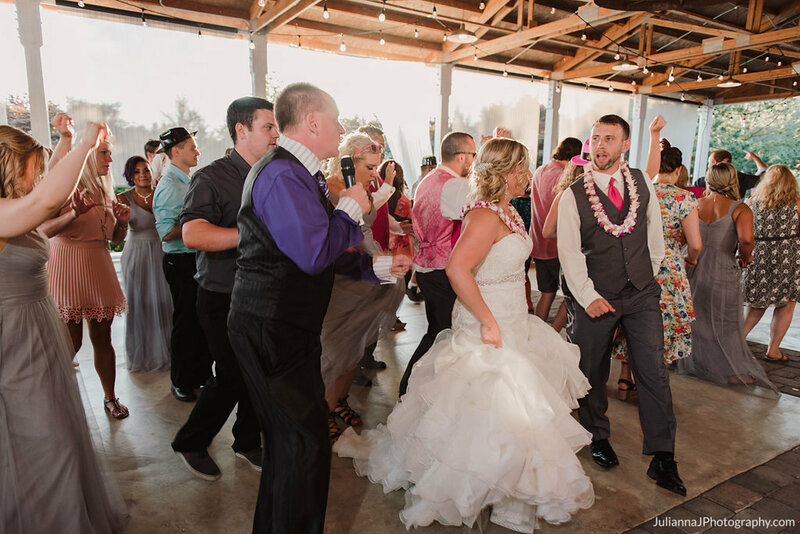 Having one DJ from start to finish is key in the success of your reception. 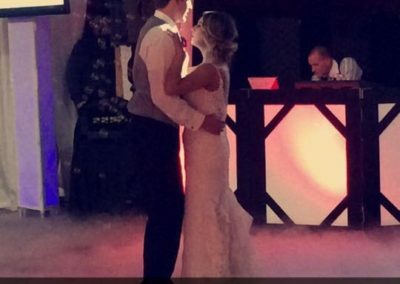 Why hire a DJ vs a Band, or an IPOD? A DJ is able to keep the music going at all times, and blend/mix the music according to what you want. Where Bands typically only know a certain type of music and it’s tough to get an IPOD to play requests on demand. IPods will have pauses in the music, bands will take breaks after 40 min. sets for maybe 20 minutes. 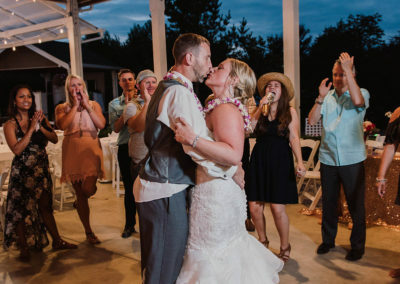 An IPOD with a set list could play Rock during dinner, and dinner music during dancing – a lot goes into the music selection and timing is critical as it sets the mood. 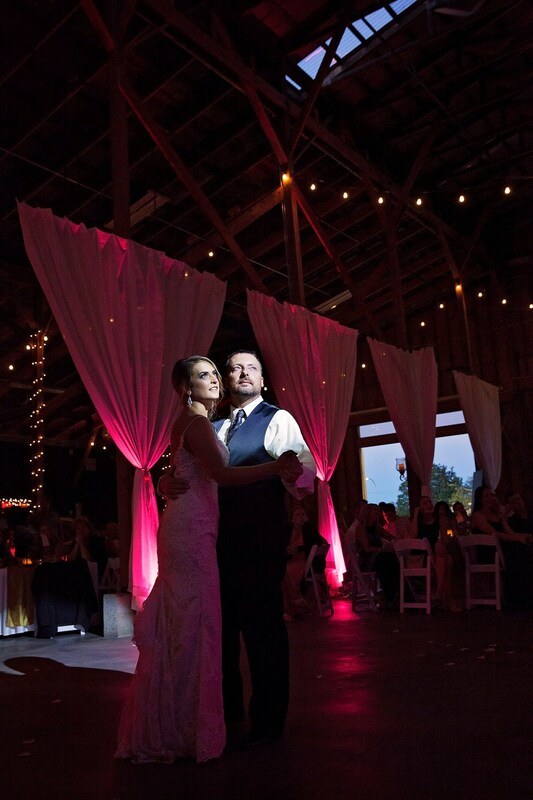 A new and fast growing trend at weddings is up lighting. 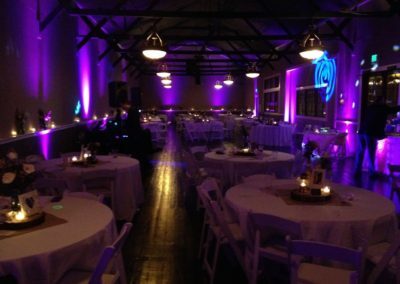 Up lighting is a great way to create depth, interest and drama for your event by literally painting your event space with light. 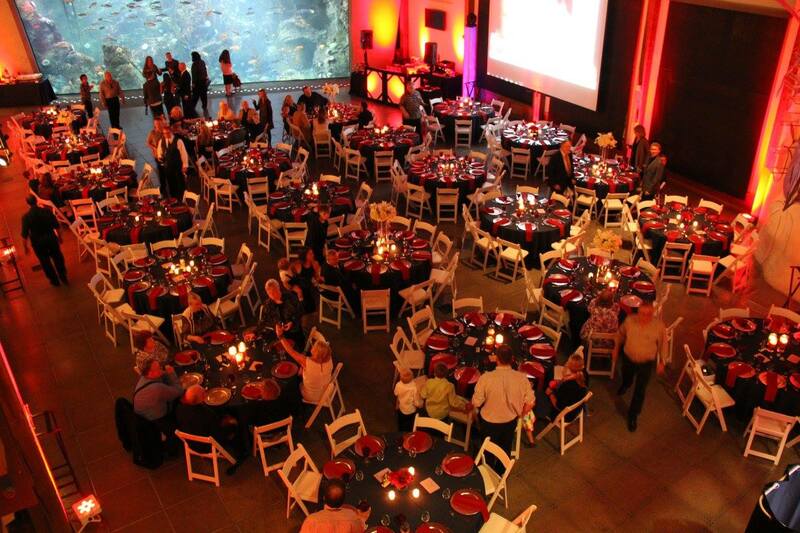 You can turn an ordinary event space into a truly unique and vibrant entertaining space. 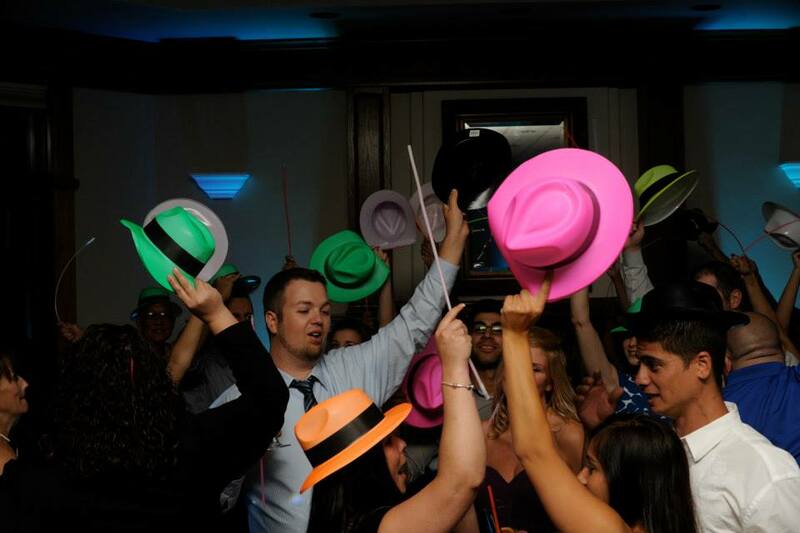 Let our team at CTB help you create a event that everyone will remember for years to come. 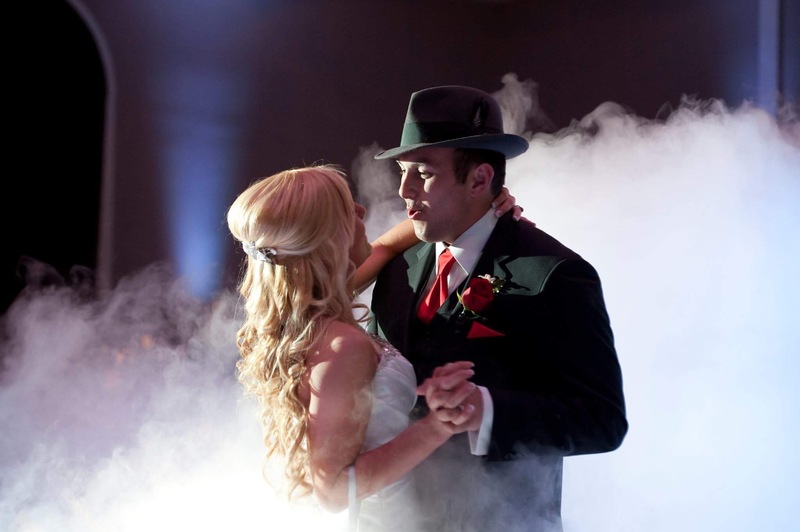 Our Wedding Planning service is a great way to leave the planning, production and stress to us! 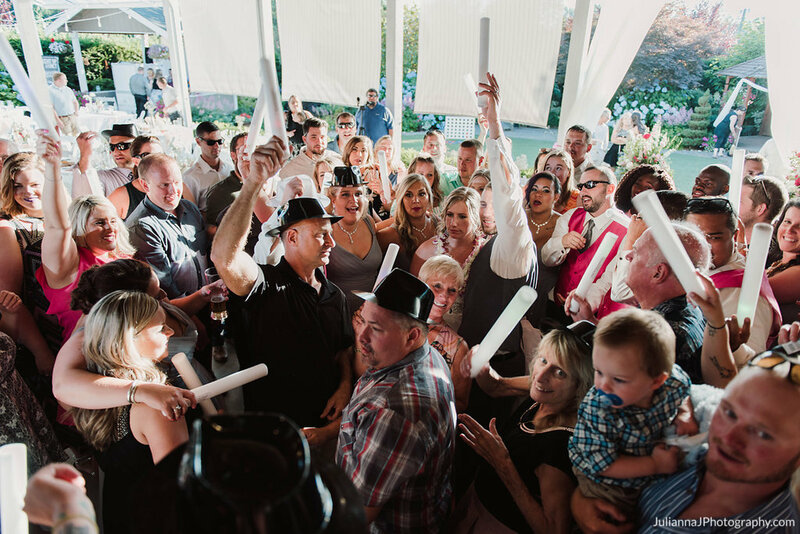 Our goal is to make you feel like a guest at your own event. 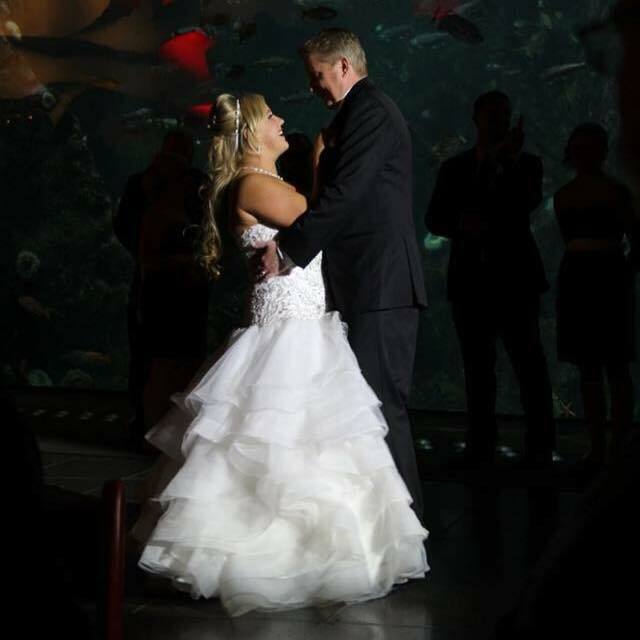 Pricing for Wedding Planning varies based on the specific requirements for each event. 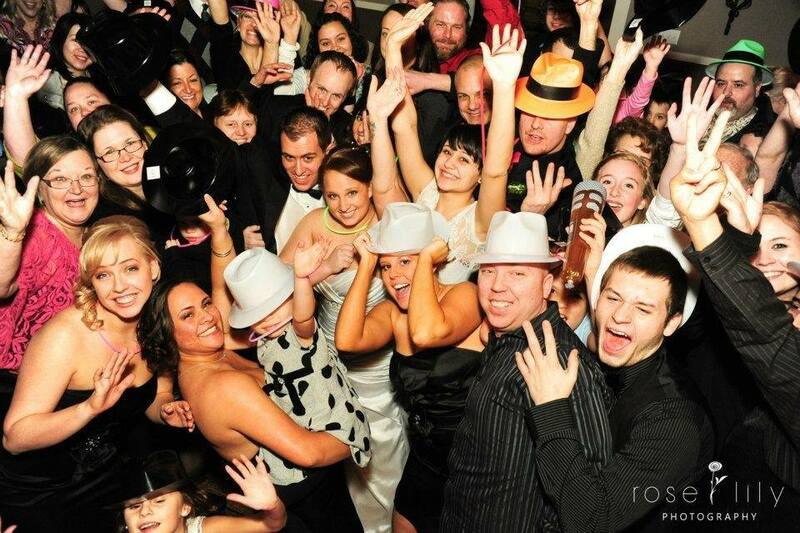 Please feel free to contact us to discuss your celebration in more detail! 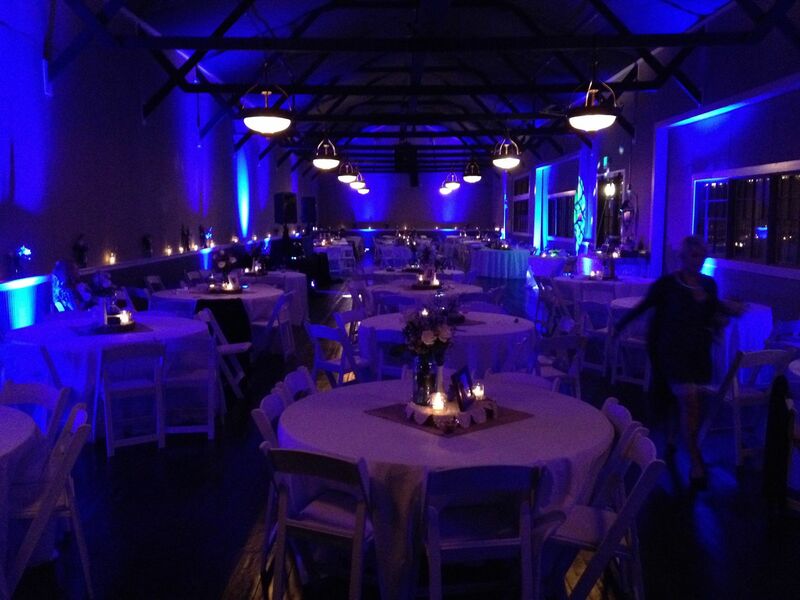 We can provide special tent decor lighting to create that special look. Along with dance floors, tent liners, and other special things for you. 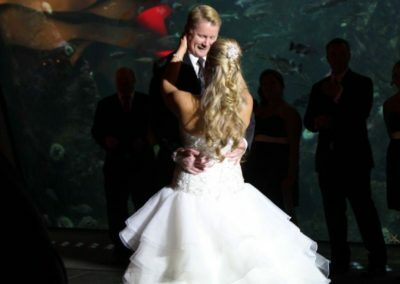 A wedding monogram definitely provides a “wow” factor at your event. 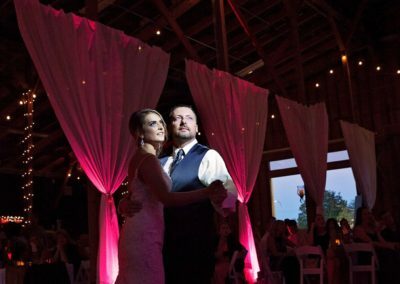 Imagine guests entering your ballroom to see your initials or name displayed in bright light on the dance floor, wall, or ceiling. 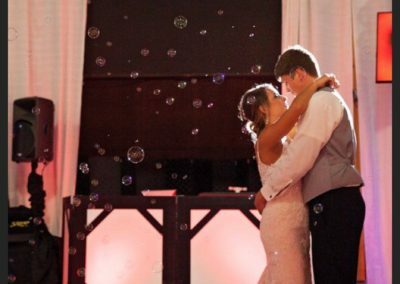 You can choose from your standard initial or design a custom monogram specifically for your reception. Is your ceremony outside or in a venue with no audio system? At Catch The Beat Productions that is no problem. 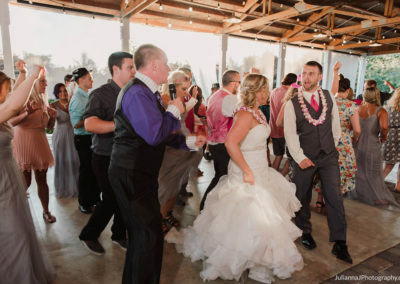 We can provide a separate sound system just for your ceremony. 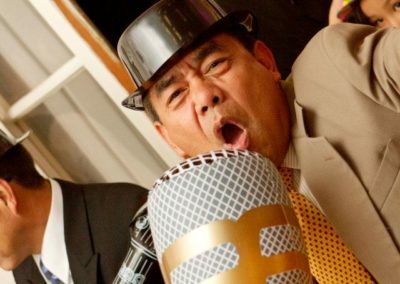 Your wedding music will be heard by all your guests. 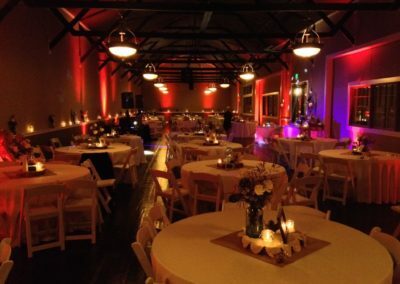 CTB offers a wide variety of Pip & Drape sizes and colors. Our drape décor solutions can transform any room into a grand showcase of colors and sweeping textures. Choose from adding Drape behind your head table or choose installing drape around the entire room to create an amazing showcase. 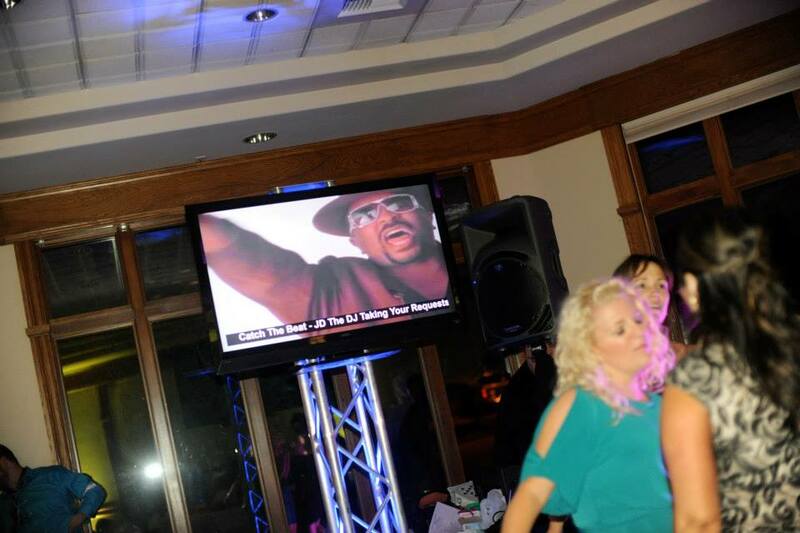 Multimedia is new way of using technology to add the “wow” factor at your event. 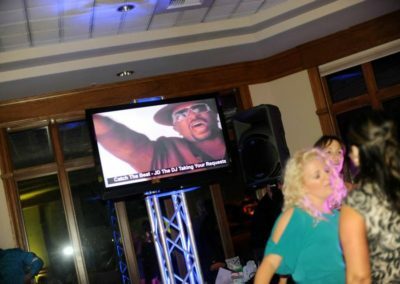 CTB uses 42″ LCD TVs and projection screen technology to display a multitude of content for your guest at your reception. 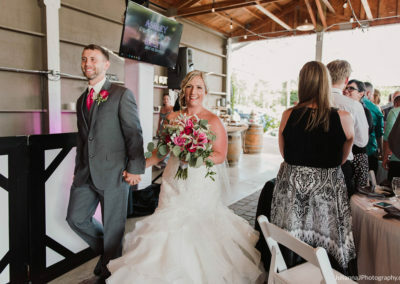 Many of our wedding clients have used multimedia to display live video feeds from the videographers, picture slide shows and even music videos. 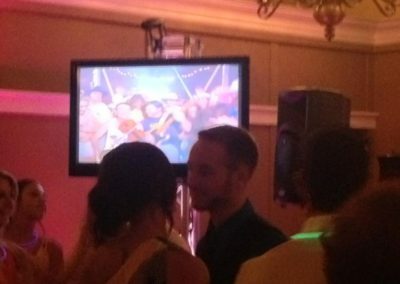 A special video montage can be created of the bride and groom, taking a trip down memory lane of the two growing up and coming together. 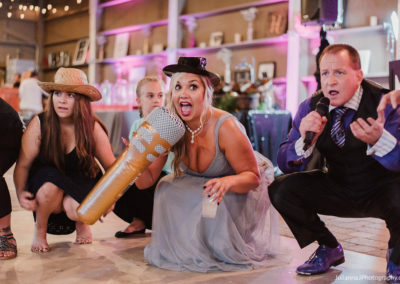 Typically – the montage consists of 20 pictures of the bride, 20 of the groom, and 20 of the two of them, along with 3 songs – one for each section. 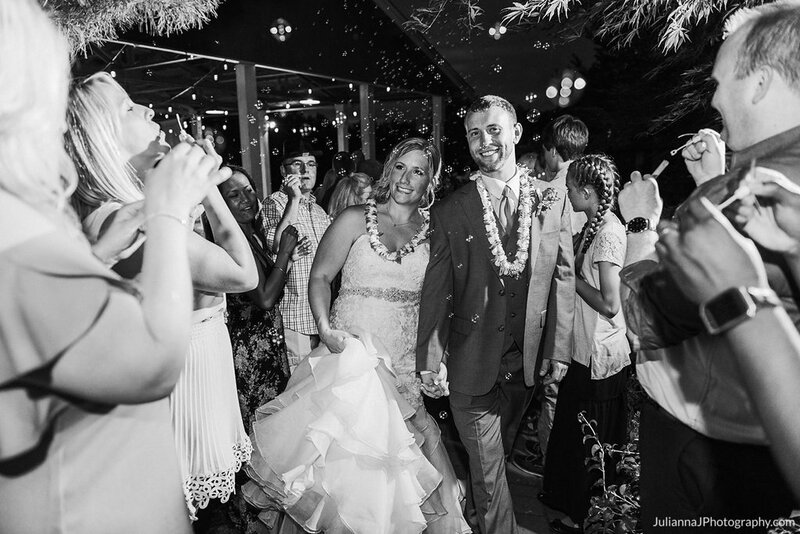 Want to make your first dance something everyone will remember for years to come? 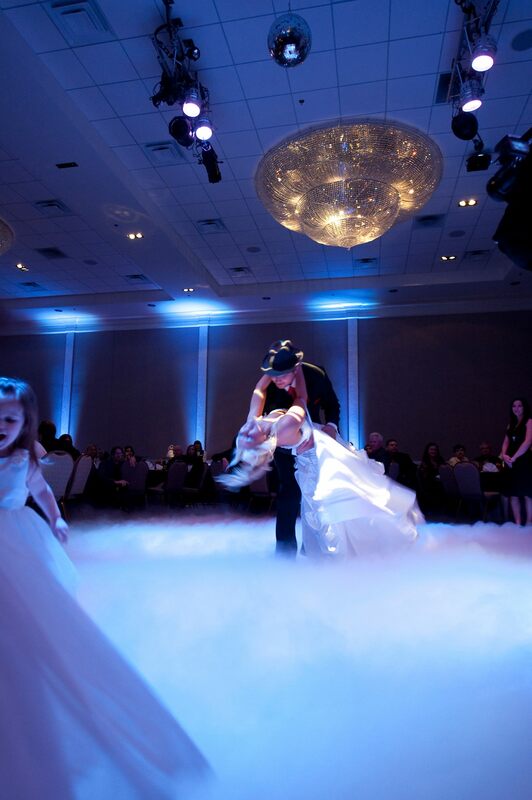 A special Catch The Beat Productions enhancement at weddings is “Dancing On A Cloud”. 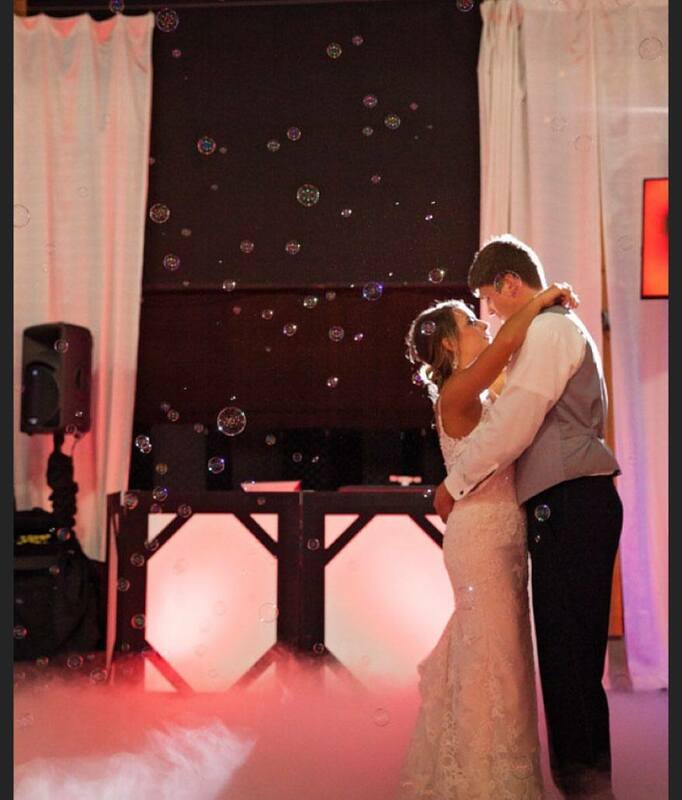 This effect will make your first dance one you and your guest will never forget! 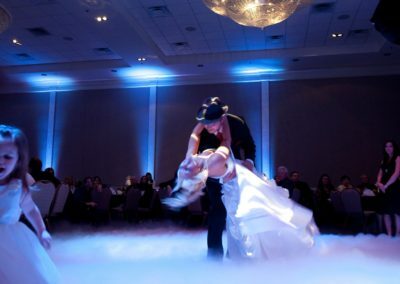 We utilize the latest in dry-ice technology to pour out a low-lying fog onto the dance floor that will never go above your waist. WHAT WILL YOU BE WEARING AT YOUR EVENT? This is a question you may not have even thought of. I simply wear whatever you want me too. Anything from a Tux to a company t shirt. I simply wear whatever the client prefers. DO YOU HAVE MICROPHONES/ WIRELESS MICROPHONES AVAILABLE? 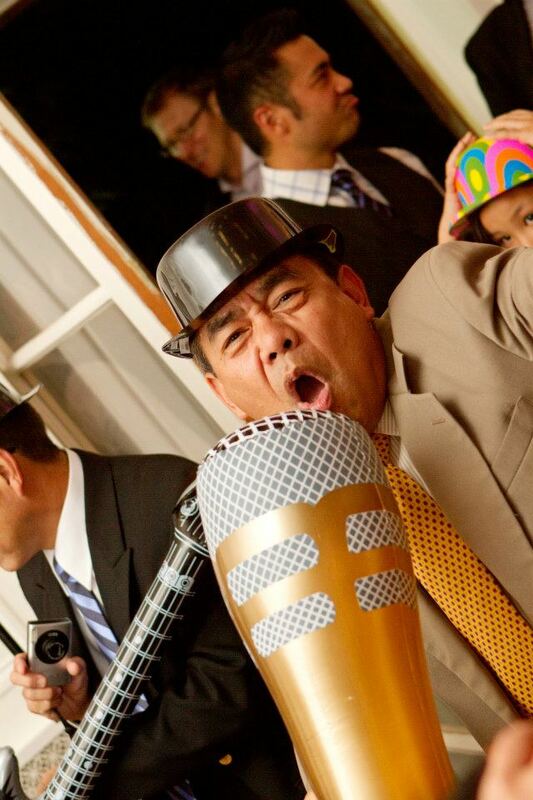 Yes, I always have a wireless microphone available at all my event’s at NO EXTRA COST. I also use 2 wired microphones for announcements and back up. HOW MUCH DO YOU INTERACT WITH THE CROWD? The answer is totally up to the client. Some would prefer next to no talking from the DJ and me just playing music. 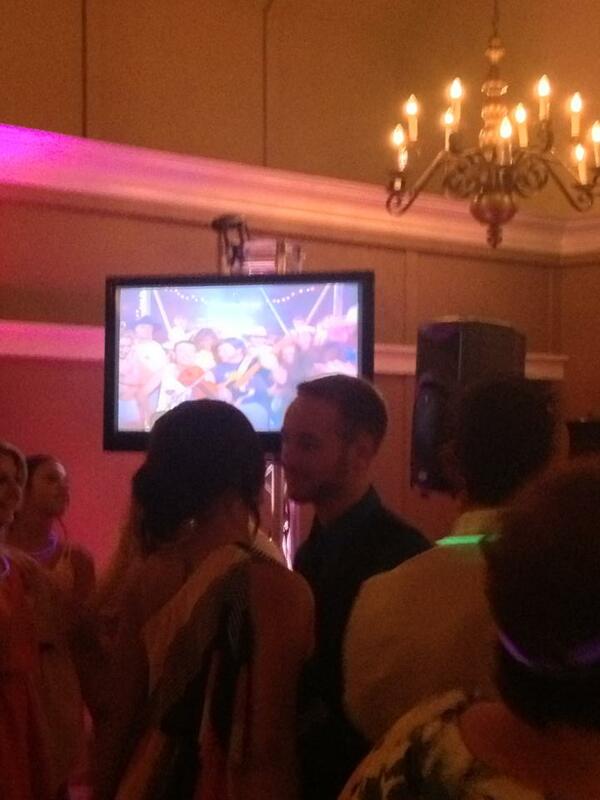 While some want the DJ on the dance floor teaching dances and entertaining the crowd. Either way this is an option I leave totally up to the customer. WILL YOU CHECK OUT THE EVENT LOCATION PRIOR THE EVENT? 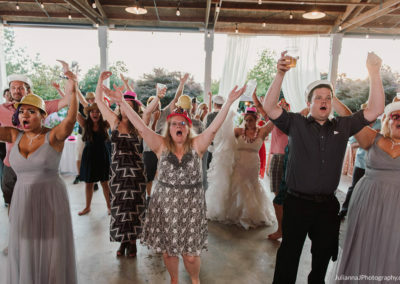 Yes, this is key in making sure everything runs smoothly the day of your event. 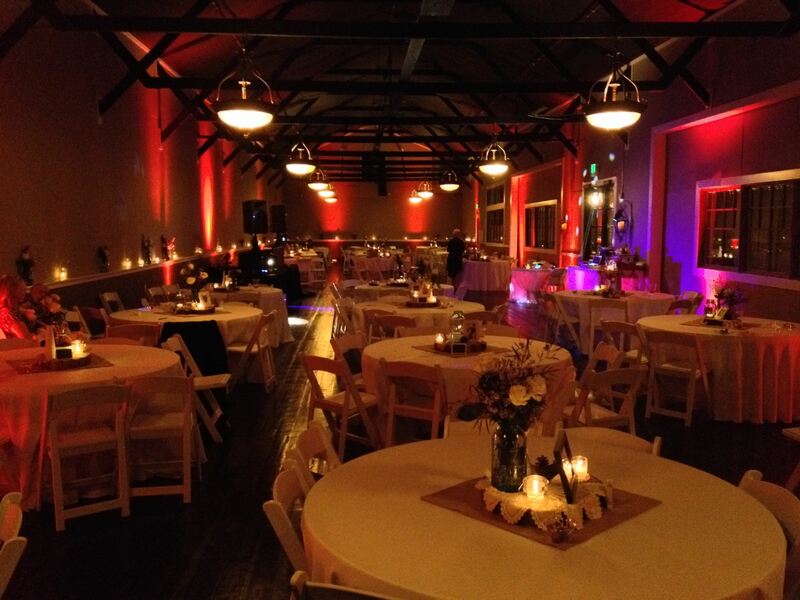 We can configure the set up to make sure everything looks and sounds perfect..
DO YOU ATTEND THE WEDDING REHEARSAL? 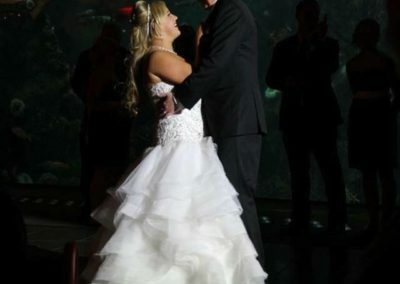 Yes, especially if you are using our services for your ceremony. 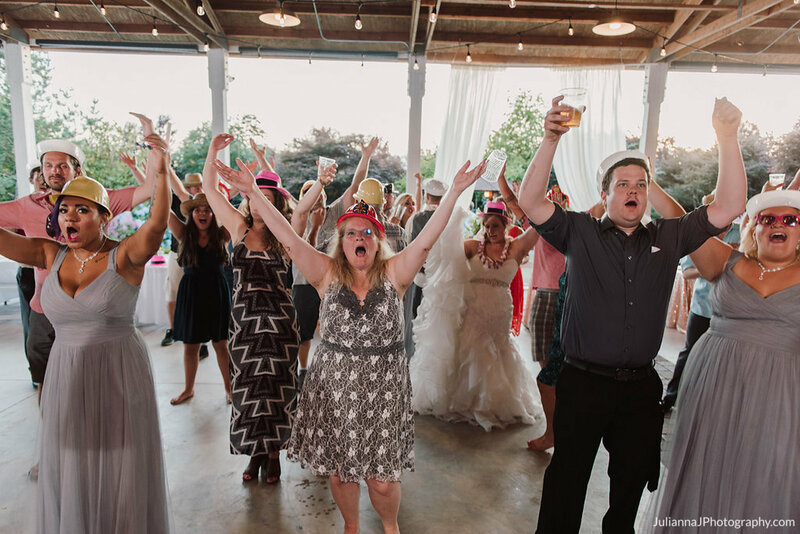 It is crucial to make sure all the songs are in order and everyone knows where they need to be to make sure your wedding runs smoothly. Yes, NBE services the whole United States. 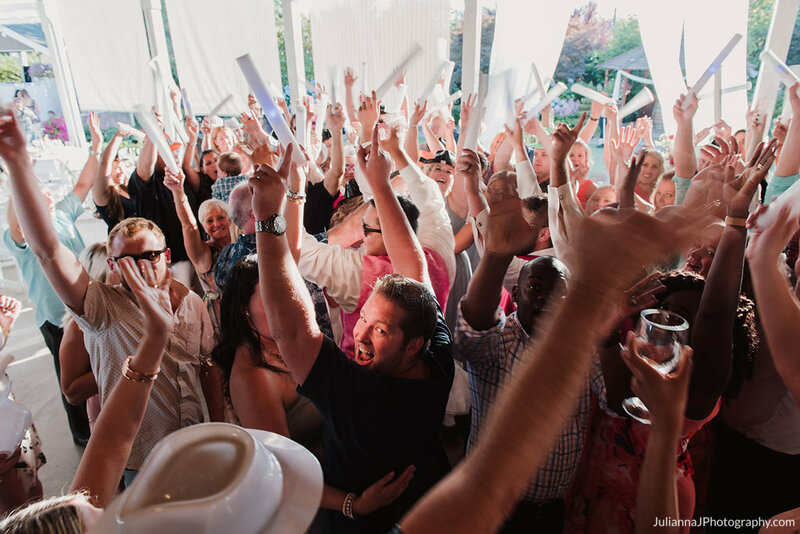 Yes, CTB carriers a $2,000,000 liability policy to every event we do. DO YOU USE A WRITTEN CONTRACT? 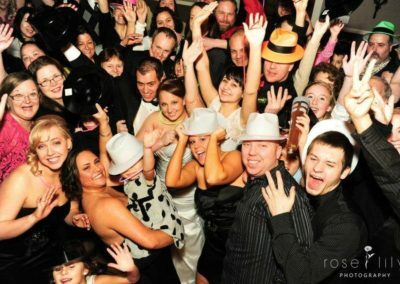 Yes, we operate on a written contract signed by the management along with the DJ at your event. 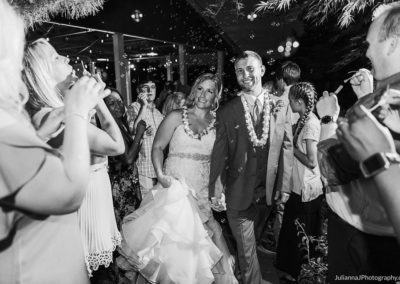 It protects both parties and includes all details of your event. The answer depends on the size of the system. No matter what we like to show up 2-3 hours prior to the event to insure everything is working properly. Although with bigger systems 4-5 hours may be required. HOW IS MUSIC PICKED OUT? DO YOU TAKE REQUESTS? 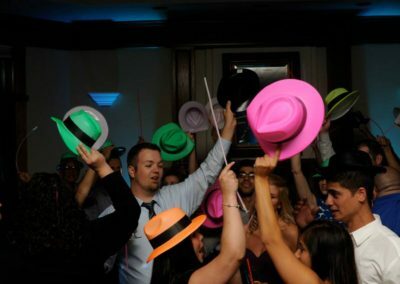 For all events I ask for a 25 song playlist to get a good idea of what types of music you are looking for at your event . 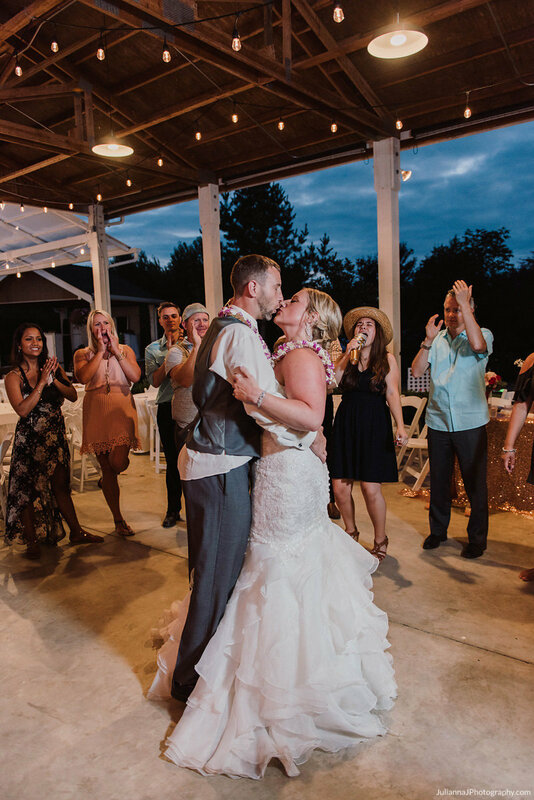 From there I take the songs you have given me and go through my entire music library one by one and create a custom playlist specifically for your event.Yes, we do take requests. We have wireless internet access everywhere so if there’s a song requested that is not in our music library we can download it on the spot. WHAT TYPE OF LIGHTING DO YOU USE? 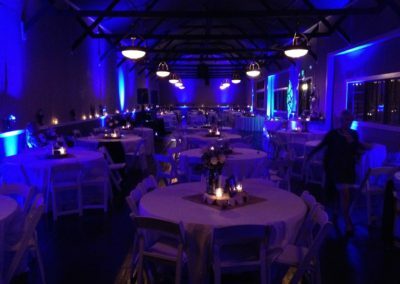 We use all high end l.e.d computerized DMX lighting. 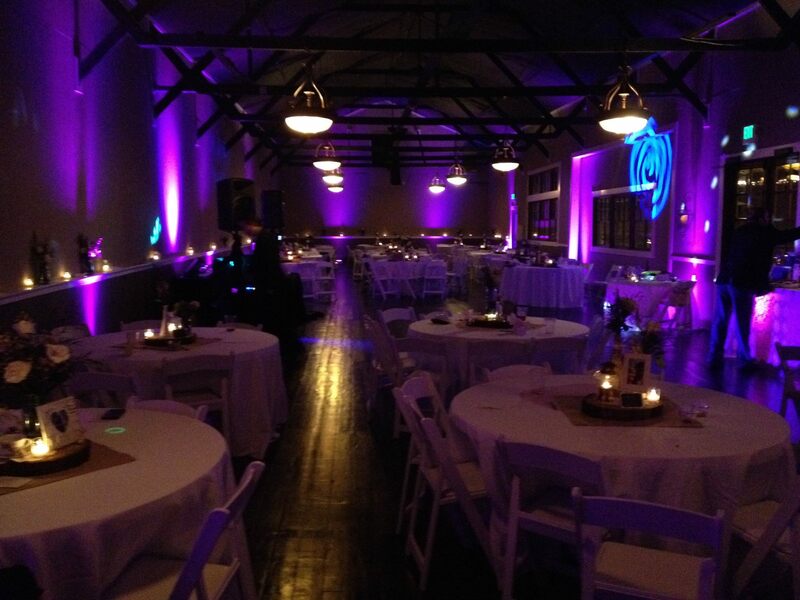 We also use lasers to give your event that extra ‘wow” factor. Yes, I bring subwoofers to all of my events. Subwoofers are a must to get perfect sound quality and give all the songs that low end it is missing when just using 2 speakers. IS THERE AN EARLY SET UP FEE? No, I do not charge any extra fee to set up early. 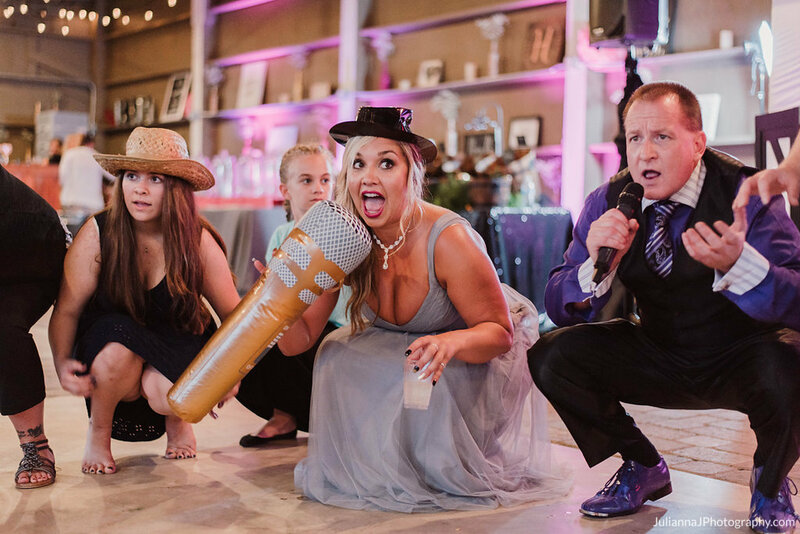 An event has never been ruined because the entertainment arrived early.